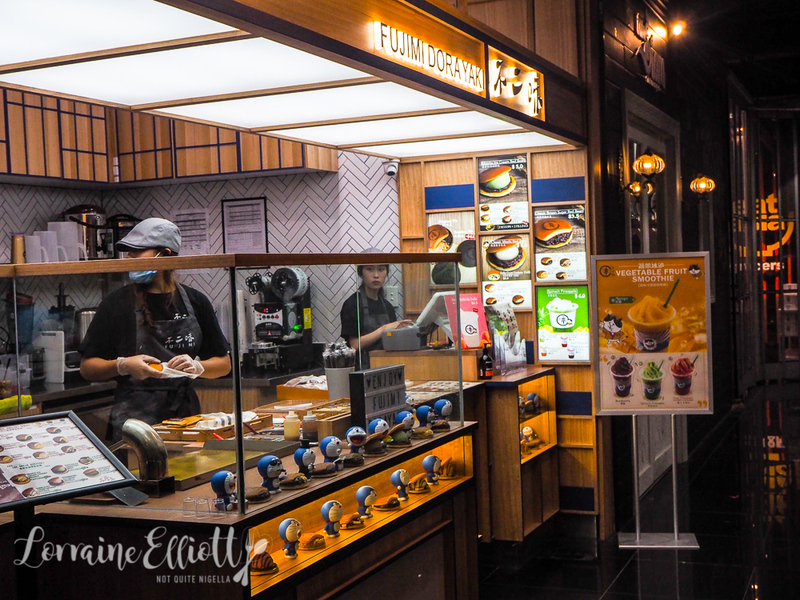 It was a late night sweets craving that led us to go to Fujimi Dorayaki, a brand new dorayaki outlet in Regent Place. The name comes from the word Dora which means gong that describes the pancakes shape. 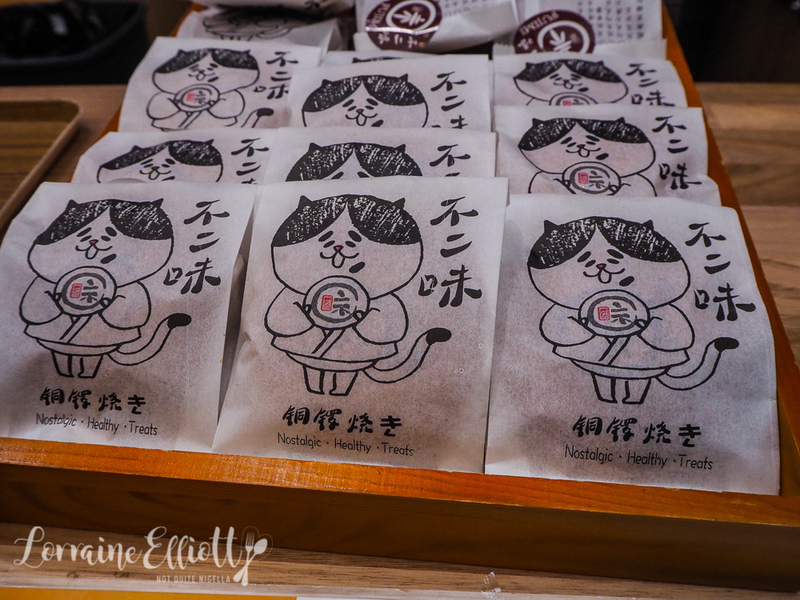 You may be familiar with the dorayaki if you've visited Japan or if you watch Doraemon the anime cat character who is somewhat obsessed with dorayaki. It is two hot pancakes sandwiched together with a filling. 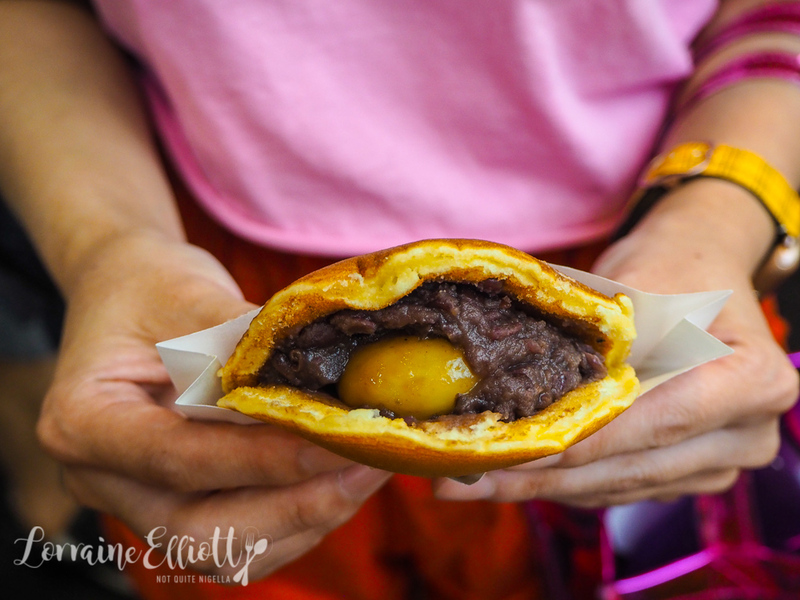 Typically the filling is red bean and the outside is a castella cake batter. Dorayaki is best eaten hot, straight after it is made. 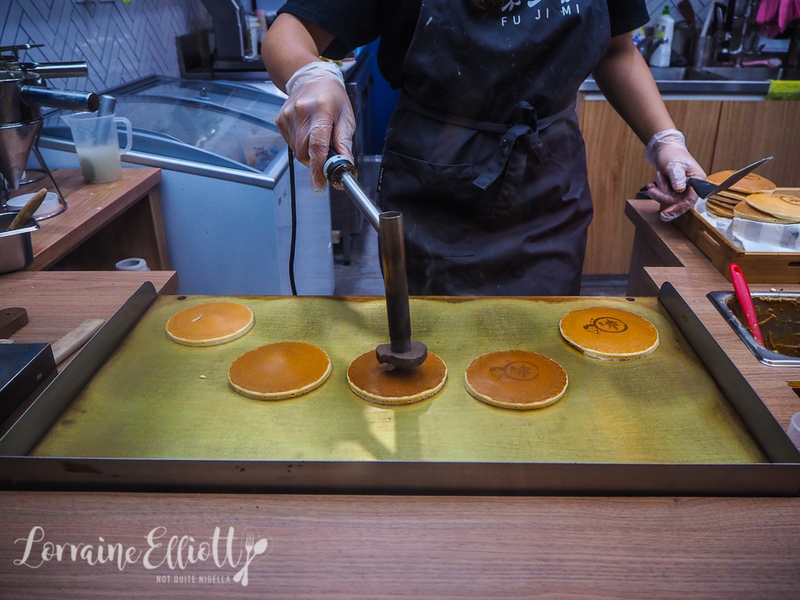 When it was first created it was a single pancake but took on the current sandwich form by the Usagiya store in Ueno, Tokyo (said to sell some of the best dorayaki in Japan). So there we were: JY, Ben, Mr NQN and I looking at the dorayaki menu. 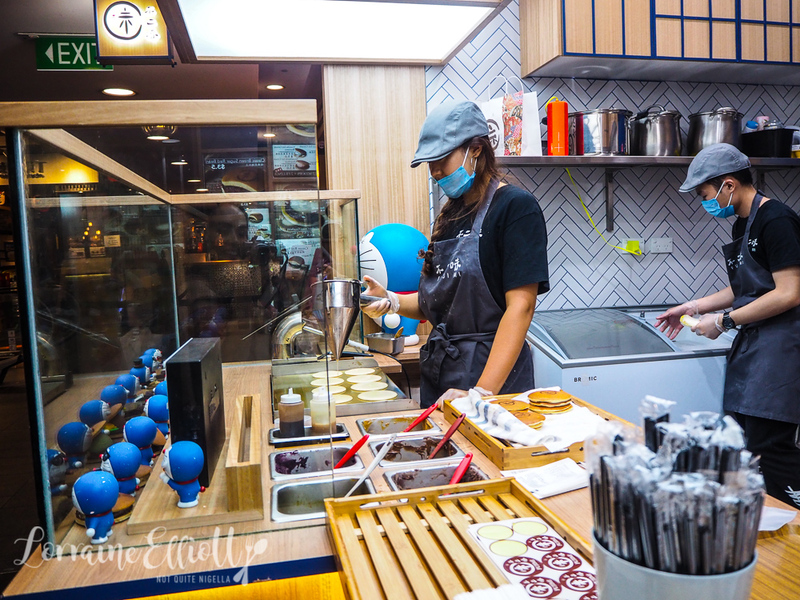 There are a lot to choose from including fillings tailored to the Western market like Nutella, cream, cranberry and peanut butter. You can also get your pancake itself in either plain, matcha (although this is mispelled mocha on the menu) and bamboo. We watch as they pipe rounds onto a hot plate, wait til they bubble on top and then flip them and then stamp them with the logo on top. Before we know it we are holding hot dorayakis in our hand. I have to be honest Dear Reader, I'm not the hugest dorayaki fan. I didn't tend to buy them much when I lived in Japan, mainly because I found them a touch dry. 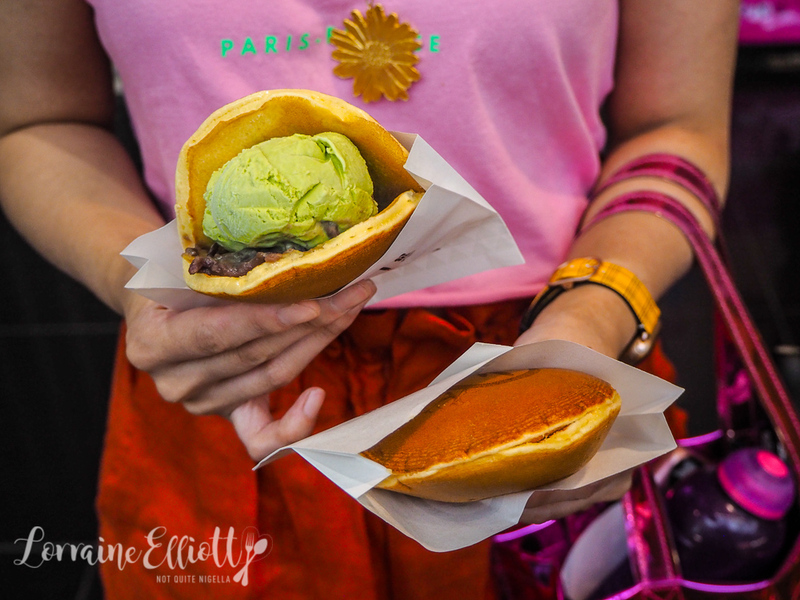 But the one with the matcha ice cream and red bean is my favourite because the ice cream makes dorayaki less dry. 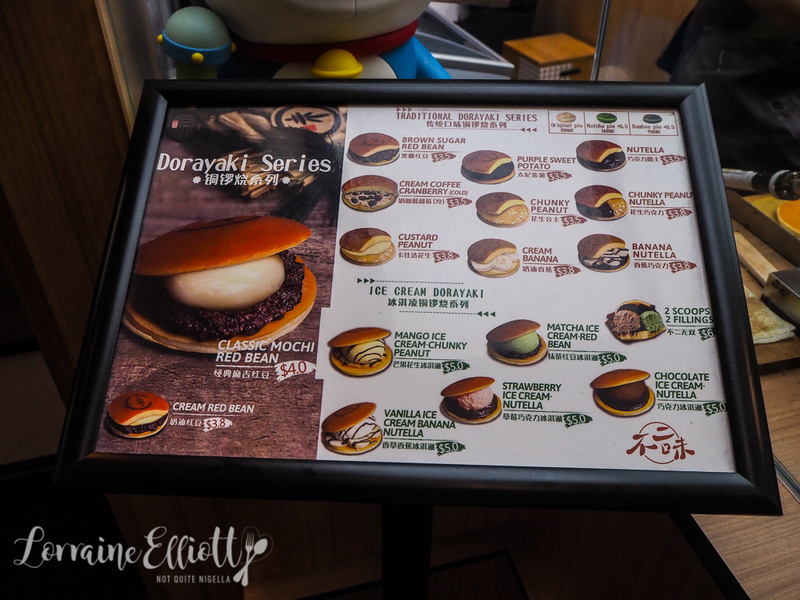 The most popular dorayaki is the red bean and mochi one. I adore mochi (so much so that I named my dog after it! ;) ) and I love the chewy texture. And while this is a more traditional dorayaki it can be on the dry side. I guess I would describe it as like eating pancakes without syrup. 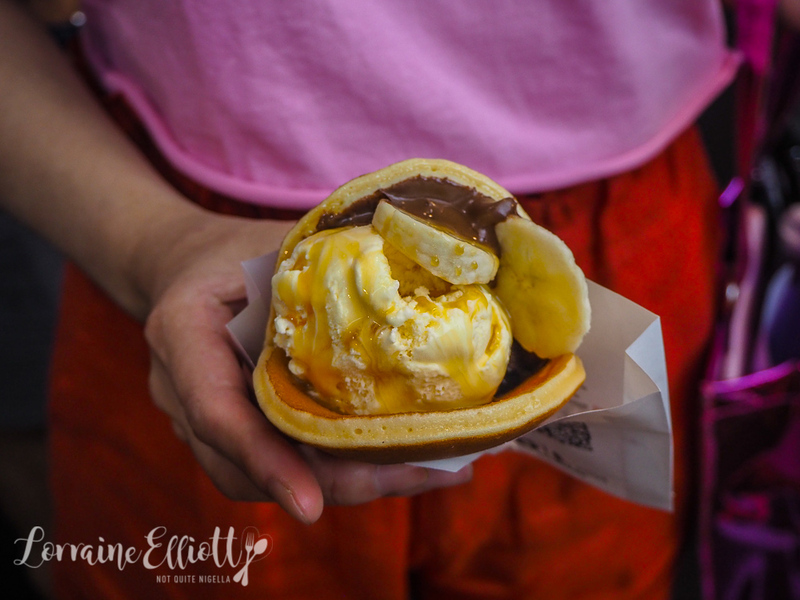 What is surprising is that JY's choice of vanilla ice creams, banana and Nutella looks even better than the photo with a super generous scoop of vanilla ice cream, slices of banana, caramel sauce and Nutella. JY says, "Good balance with vanilla and banana, with not too much Nutella. Like Ben said it was like a banana split as a pancake sandwich." We also tried one of their rather unusual drinks. Red cabbage in a frappe? Sure! We try the kiwi, pineapple and red cabbage drink which is surprisingly good and not at all sulfurous from the red cabbage. The pineapple is the dominant flavour in this. Sweets craving satisfied! 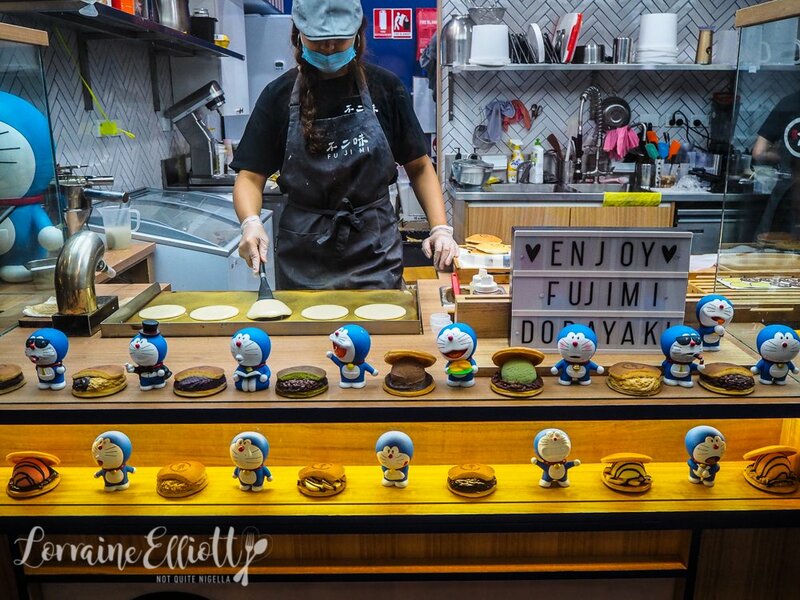 So tell me Dear Reader, have you ever tried a dorayaki? Would you go for a more traditional Japanese filling or a Western one? restaurantPoke Me! 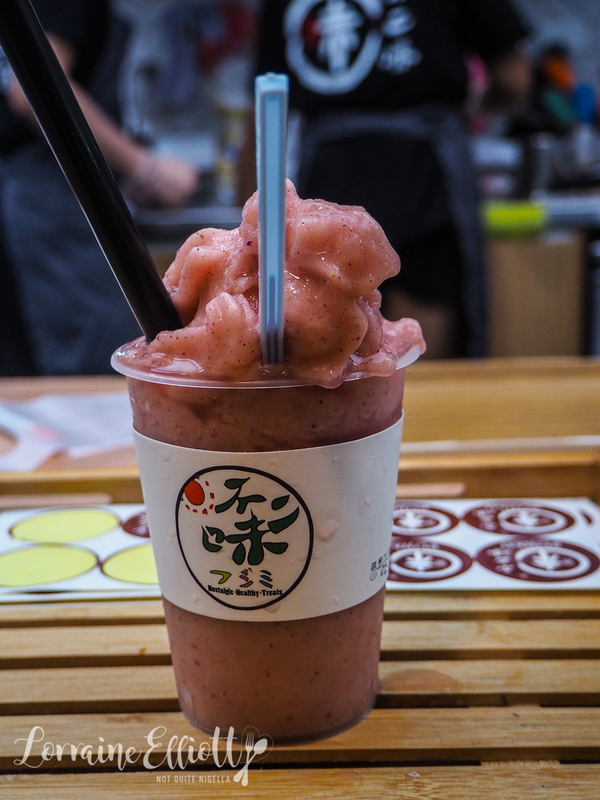 The Challenge to Find The Best Poke in Sydney!